It was as much of a tremendous shock to me as it was to everyone to learn last week week of the untimely death of an extraordinary talent, James Gandolfini at only 51 years of age. The actor who was best known for his portrayal of Mafia boss Tony Soprano on HBO's The Sopranos, was eulogised by showrunner David Chase today during a funeral service in New York. A native of New Jersey, Gandolfini was born to parents with strong Italian connections and it was through their influence that he developed strong ties to Italy and regularly visited the country. His most recent visit was sadly his last and he died in Rome on Wednesday last during a brief vacation before attending a film festival on Sicily. Gandolfini may be Tony Soprano to most but he had an impressive movie and TV career outside his multi Emmy awarded role on HBO. In the 20 years that followed his role as the woman-beating henchman Virgil in True Romance , he played a variety of different roles including Eddie, a hit man [The Juror, 1996], Winston Baldry, a gay hit man [The Mexican, 2001], a tired hit man [Killing Then Softly, 2012] - OK so the man was probably a little typecast as a hit man, mobster or someone of nefarious purpose but he was undeniably one of the best at it! I first noticed him in the late Tony Scott's Crimson Tide as Lt. Bobby Dougherty in a way that made me know that he was a man to watch. I think my favourite role of his will be as Colonel Winter [pictured], warden of a US Military prison in Rod Lurie's thought provoking The Last Castle , a lesson in a leader's capacity to inspire. 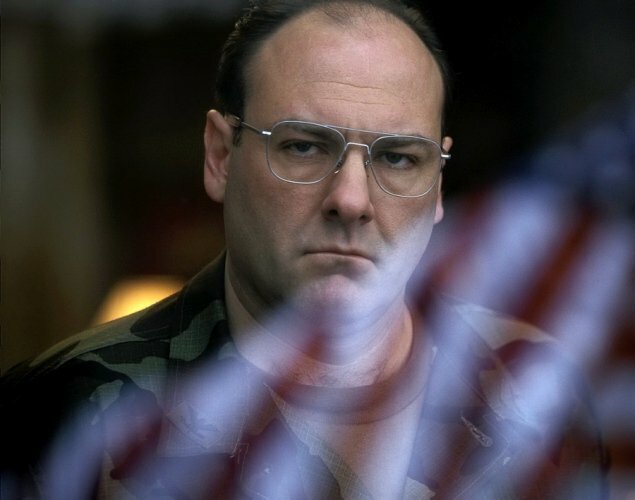 In addition to acting, Gandolfini was also an award nominated producer and produced two documentaries concerning war veterans mental health and went to Iraq in 2010 on a USO visit. In his eulogy, Chase said that Gandolfini was "A sad boy, amazed and confused," he said. "You could see it in your eyes. That's why you were a great actor." A family friend Thomas Richardson requested that the mourners present hug each other just a small bit too tightly, something Gandolfini was known for. He is survived by his wife Deborah and children Michael and Liliana. During Gandolfini's episode of Inside the Actor's Studio, James Lipton asked: "Finally Jim, if Heaven exists, what would you like to hear God say at the pearly gates?" Gandolfini replied: "Take over for a while, I'll be right back."